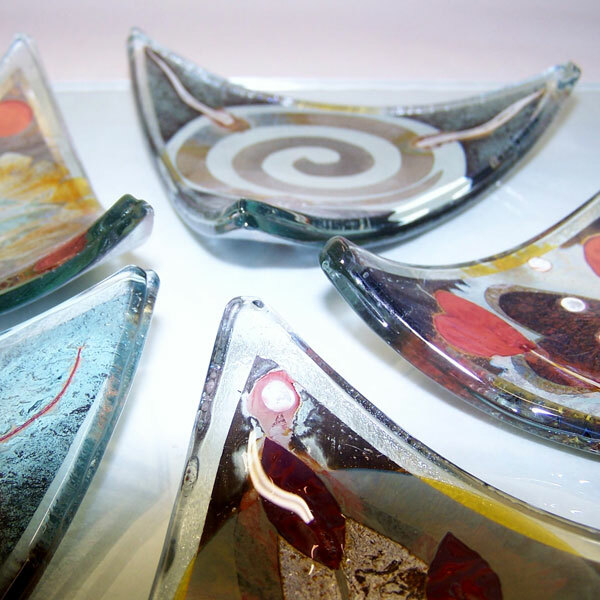 Jacquie & Bill has over 20 years’ experience in kiln fused glass making. 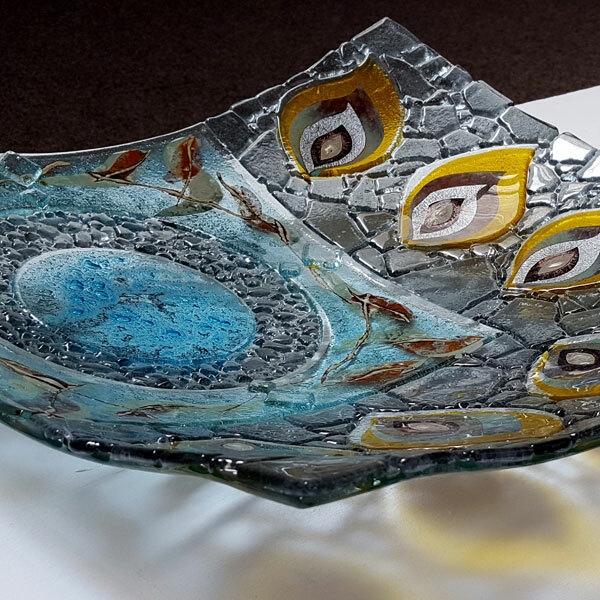 Their approach to their work, utilizing precious leaf inclusions has resulted in some of the most aesthetic and decorative handmade glass produced in the UK. 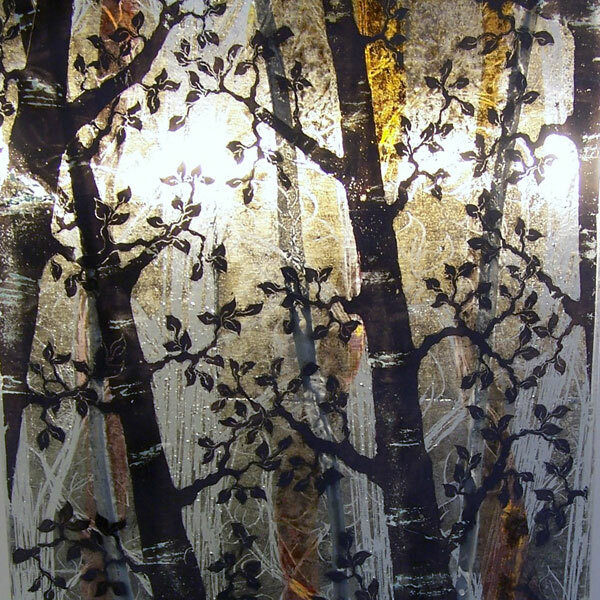 Sea, landscape, forest, flora and Celtic influences predominate their creativity and with the introduction of light providing a dynamic element to their work! 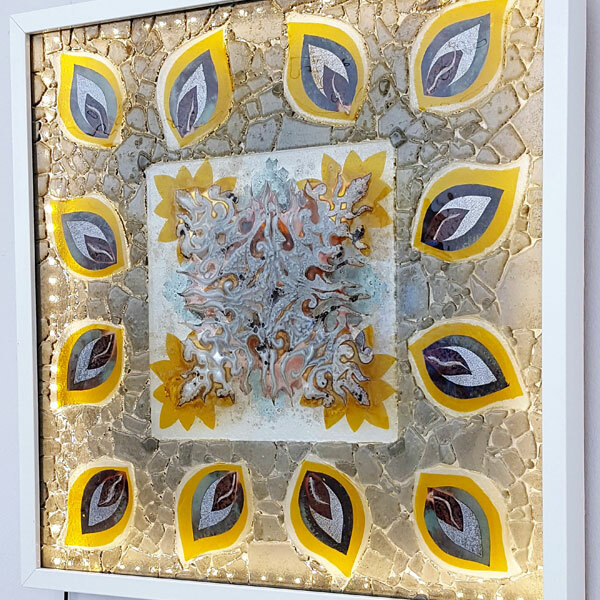 The use of elaborate glass cutting skills, are shown in their stunning limited edition pieces, with a contrast of intricate detail shown in their hand drawn illustrations! 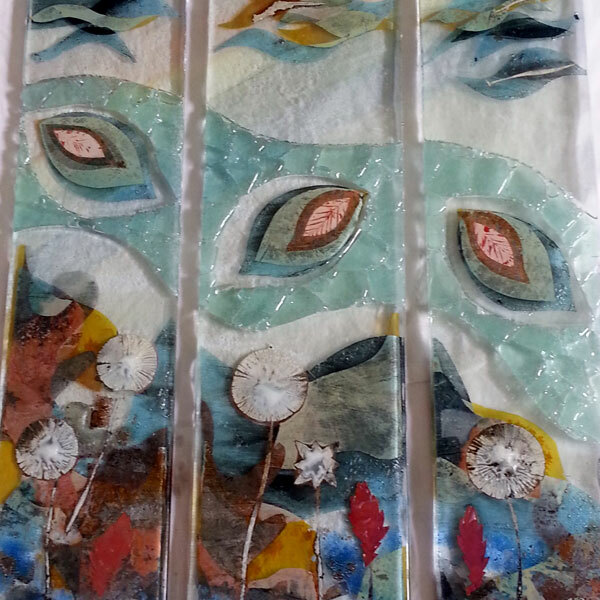 Jacquie McNeill Glass Design produces a full range of exhibition, private, and commissioned glass suitable for gifts, interior design, corporate and fine art installations.